29.05.2013 (HTN - Hvino Tour News). The first regular flight Minsk-Kutaisi (Georgia)-Minsk was conducted by the national airline Belavia on 28 May, BelTA learnt from the press service of the air company. The plane for Kutaisi left Minsk at 00h05 and touched down in the Georgian city at 3h50. The plane was back to the Belarusian capital at 6h35. The flight to David the Builder Kutaisi International Airport will be operated three times a week (Tuesdays, Thursdays and Saturdays) on CRJ-100/200 aircraft. The journey will take 2 hours 45 minutes in one direction. Kutaisi International Airport played host to an official ceremony of opening the new flight. Attending the presentation were the management of the airport and the Belarusian air carrier. Deputy Director General for IT of the national air company Belavia Vladimir Barkun expressed confidence that the flight would promote an increase in direct and transit passengers traveling via Minsk to Europe and the CIS. 28.05.2013 (HTN - Hvino Tour News). Ukraine International Airlines launched non-stop scheduled service Batumi – Kiev – Batumi. Until the end of June 2013 new flights en route Batumi – Kiev – Batumi are operated thrice a week on Saturdays, Sundays, and Mondays from Batumi to Kiev. Starting July 1, the frequency of flights on the route will be increased up to 4 weekly flights – besides the above mentioned ones Batumi – Kiev flights will be also operated on Thursdays, and starting July 10 UIA will operate 5 weekly flights between Batumi and Kiev: on Mondays, Tuesdays, Thursdays, Saturdays, and Sundays. Within the promo campaign, the price of one-way ticket from Kiev to Batumi, purchased until May 31, will start from 37 Euro. Regular flights will be performed by B 737-500 type aircraft, and will deliver passengers from Kiev at 22:50 p.m. As for the departure, the flight from Batumi Airport to Kiev will be carried out at 06:45 a.m. Flight duration is 2 hours and 20 minutes. UIA offers direct service between Georgia and Ukraine, connecting the two countries with three direct scheduled flights per day: two daily flights between Tbilisi and Kiev and one daily flight en route Batumi – Kiev – Batumi. 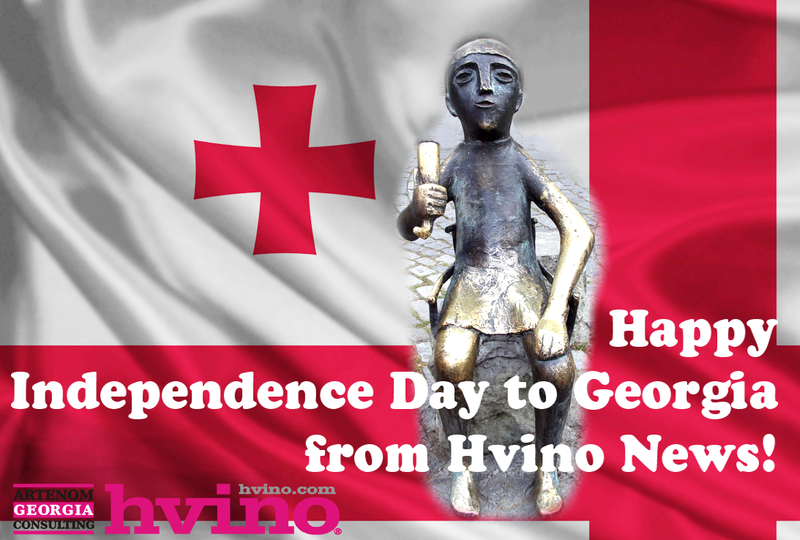 Happy Independence Day from Hvino TOUR News team! 12.05.2013. People in Great Britain tend to love the arts, wine and exploring foreign cultures. 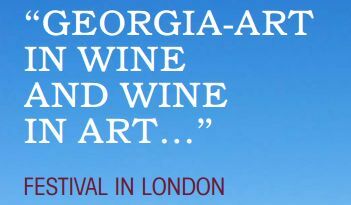 So they will have an opportunity to attend a grand festival entitled Georgia-Art in Wine and Wine in Art scheduled from May 6-21 in London. 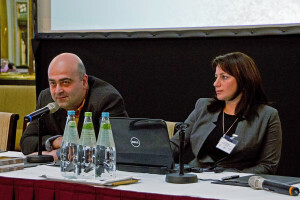 Mako Abashidze, Director of the British Georgian Chamber of Commerce (BGCC), the organizer of the festival, says that this event with its “very extraordinary format” will raise awareness of Georgia. “The target group of the festival is the British media and ordinary people who have an interest in Georgia, as well as our Georgian emigrants living in London,” Abashidze told Georgia Today. The festival is divided into several parts and includes a performance by members of the Marjanishvili Theatre, an arts exhibition and a presentation of Chateau Mukhrani wines, as well as a film screening. 09.05.2013. 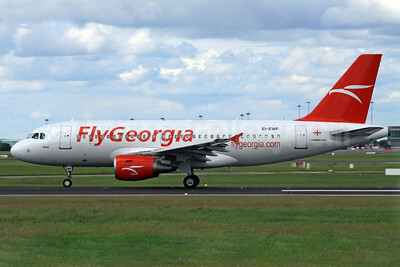 Newly-established FlyGeorgia Airline plans to expand its operations in Gulf to boost tourism in the Commonwealth of Independent States (CIS). One of the newest airlines in the aviation sector, which has three weekly flights on Tbilisi-Dubai-Tbilisi route, will increase its frequency to four per week from this summer and target a daily service by next year. “We are keen to buildup a strong route network in Gulf to boost tourism in Georgia,” airline’s director of media relations Tannaz Hosseinpour told Khaleej Times on the sidelines of Arabian Travel Market. Privately-owned Georgian airline aims at connecting the CIS state with the world to support its development of tourism, economic growth, and popularisation of the country. It is the only airline with an Airbus fleet flying out of Tbilisi International airport and has established 10 routes in three continents in less than six months. “We are set to launch new services in Gulf, Europe and other Asian destinations to expand the airline’s network. The airline has ambitious plans for the near future,” Hosseinpour said. 30.03.2013 (Hvino News). The fourth festival of young wine will take place in Tbilisi on May 11. Wine companies and individual producers will contribute to the annual event, which last year had attracted about 15 000 visitors. Wine Club and Municipality of Tbilisi are organizers of the festival. According to them, in 2013 there will be more individual producers represented at the festival. 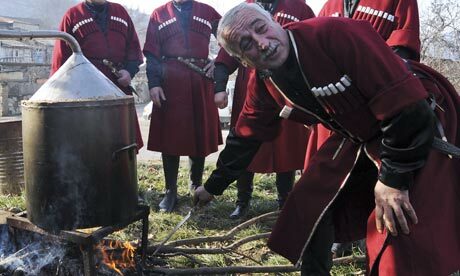 The usual site of the open-air festival is Ethnographic Museum in Tbilisi. For 2012's festival report, see here. 25.03.2013. When CNN published a travel story earlier this month showing Tbilisi's ranking as one of the worst cities in the world, it sent locals in a tizzy. Georgians think Tbilisi is the bellybutton of the universe. It might be crazy, but that's part of its charm. Calling it inferior reflects a second-rate way of seeing the world. The bogus ranking was reflected in the 2012 Quality of Living Survey by Mercer, a U.S.-based consulting firm. Mercer bases its criteria on factors such as safety, education, hygiene and political-economic stability in an effort to help multinational companies decide where to open shop and how much to pay employees. 26.03.2013. In a move that emphasizes the South Caucasus country's emerging ties with the Middle East, Georgia’s largest carrier, Airzena Georgian Airways, has launched direct flights to Erbil, capital of the autonomous northern region of Kurdistan in Iraq. Georgia and Iraq have visa-free travel and a growing number of Iraqis of late have been trekking out to Georgia by land or by connecting flights. After the number hit 7,000 last year, Airzena started negotiations with the government of Kurdistan over a direct air link. The region's relative safety and the new money produced by the development of its energy resources seem to have motivated the pick of Erbil, but the Iraqi capital, Baghdad, and the Kurdish cultural hub of Sulaymaniah are next on the list. 22.03.2013 (HTN - Hvino Tour News) Georgia successfully participated in 5th International Wine Tourism Conference (IWINETC) in Zagreb, Croatia, on 15 - 16 March, being also one of main sponsors of the Conference (read more: Georgia to sponsor wine tourism conference in Zagreb and Georgian wines at IWINETC 2013 in Zagreb). It was announced that next year, Georgia will be the host country for IWINETC '2014. A special presentation reflecting the trends of tourism development in Georgia as well as the capacity and infrastructure of wine tourism, was held at conference in Zagreb. It was noted that in recent years Georgia has made significant progress in the development of this type of tourism. 21.03.2013 (HTN - Hvino Tour News) Brand new ferry service between Derince (Turkey) and Poti (Georgia) launched with effect from March 14, 2013. Railcars carrying both conventional and dangerous as well as off-gauge cargoes, trucks and cars, tracked vehicles, palletized and non-palletized deck cargoes are accepted for carriage. The line is served with rail ferries «Geroi Shipki» and «Geroi Plevny» and offers fortnightly departures and all-the-year-round navigation. Customers are additionally offered logistics and forwarding package which includes shipping railcars, vehicles and other cargoes from the port of Derince to the port of Poti and further to a destination in Central Asia or via the port of Derince to a destination in other major European ports both for inbound and outbound cargoes.